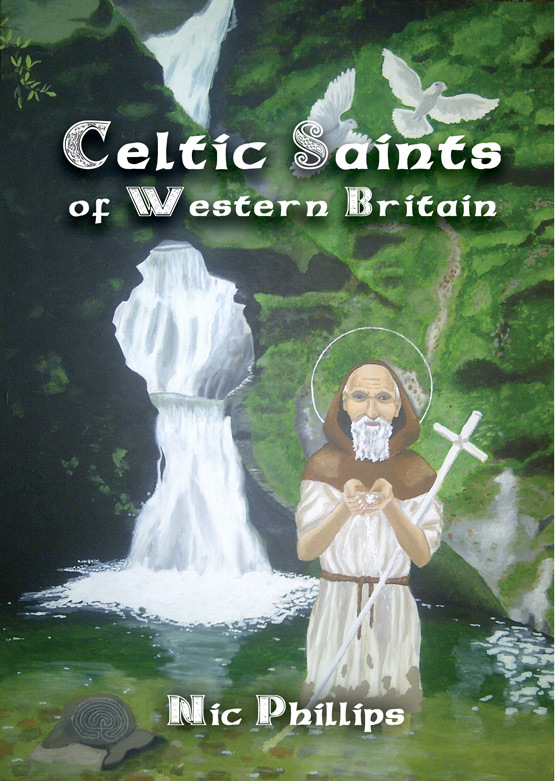 This image depicts St Senara, patron of Zennor. Little is known about Senara herself although some associate her origin with Asenora of Brittany, a princess accused of adultery and thrown, pregnant, into a barrel and tossed out to sea. She miraculously survived, washed up on the shores of Cornwall and may have founded the village of Zennor. 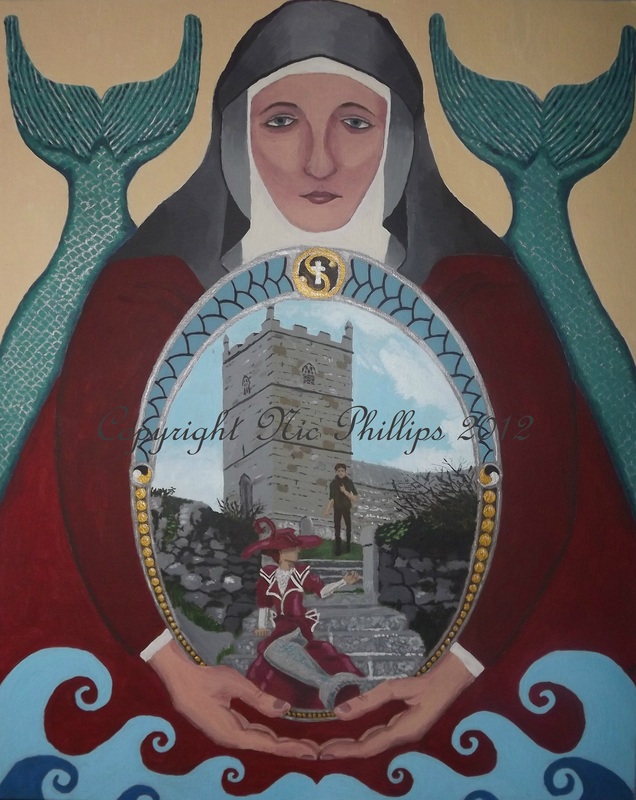 Another maritime legend famously associated with the village is that of the Mermaid of Zennor which is depicted here. A mermaid in the nearby cove heard the singing of Zennor’s finest chorister, Mathey Trewella, and enticed by it, came onto dry land. Dressed in the clothes of a fine lady and hiding her tail she came into the church to hear him sing. Many wondered who this mysterious lady was. She waited for him outside the church and upon seeing her, the young man fell in love. It is said he returned to the sea with her to her home and was never seen again. Acrylic on canvas (16in x 20in).